World Immunisation Week aims to promote the use of vaccines to protect people of all ages against disease and to demonstrate how immunisation saves millions of lives. It is also a chance to remind us all how much progress has been made around the world in distributing life-saving vaccines. For example, Polio cases have decreased by 99.9% and it is almost the second disease in human history to be eradicated, after smallpox. Child mortality has more than halved between 1990 and 2015. This is a huge achievement and vaccinations have played a big role. With the introduction of new vaccines into the World Health Organisation’s recommended vaccines list and the strengthening of national immunisation programmes around the world, more children are being protected against more of the world’s deadliest diseases than ever before. 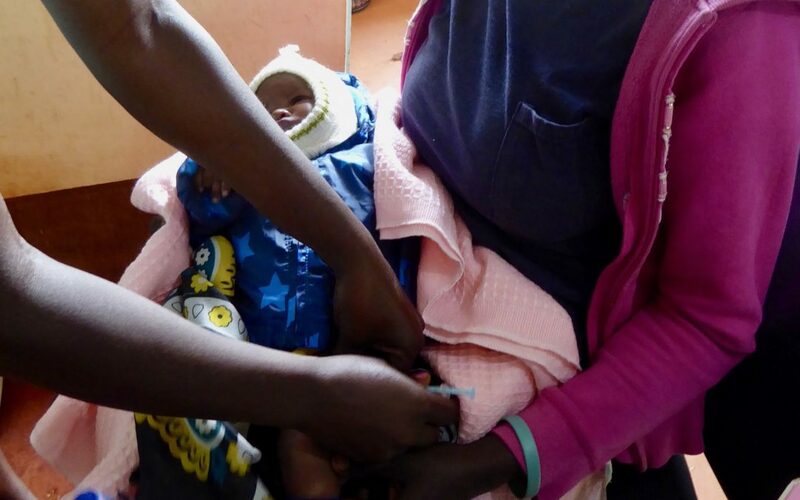 Buburi Health Clinic vaccinates around 150 children each month and the number is increasing as more and more women benefit from the Maternity services delivered here daily and then develop a growing relationship with the clinic for themselves and their families. See this video of a baby being vaccinated at the clinic. Friends of Buburi is run by four British nurses - Jo, Sallie, Noreen and Jackie, and provides financial and educational support to the Buburi Health Clinic. By working closely with clinic staff, the Buburi Community Based Organisation, Kenyan Ministry of Health and other local organisations, our ultimate aim is for the clinic to become self-governed and financially independent. We’d love to hear from you, so please email us at info@friendsofbuburi.com. Join our e-newsletter list to receive the latest news and updates from Friends of Buburi.